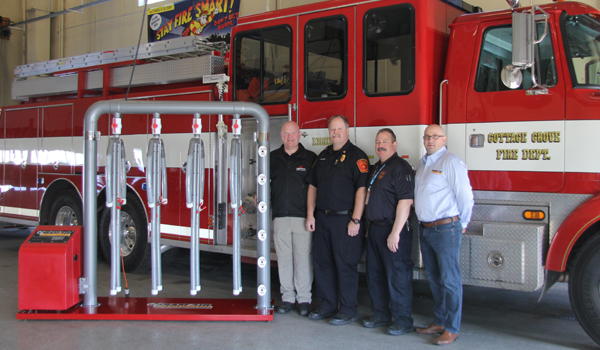 A firefighter-owned company, Ram Air provides a full range of dryers made exclusively for drying personal protective equipment including turnout gear, immersion/hazmat suits, helmets, gloves, boots, face masks and SCBAs. 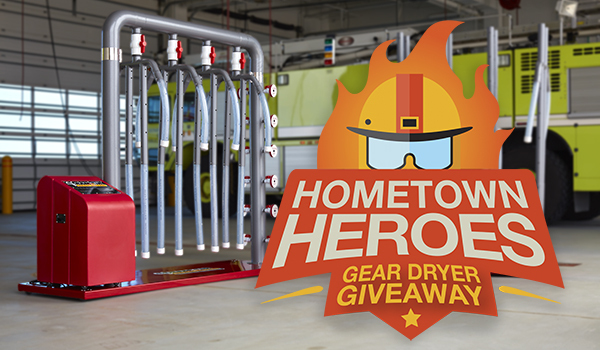 Our patented dryers are designed to dry gear quickly—getting firefighters back to action fast. NFPA compliant, Ram Air PPE Dryers are built with the highest quality components. We strive to set standards beyond any other competitor’s products. Our goal is to provide unmatched customer service and quality products that ensure gear is in top operating condition—ultimately preserving the safety of firefighters and those they serve. Ram Air Turnout Gear Dryers safely and quickly dry all turnout gear and accessories including helmets, gloves, boots, face masks and SCBAs. Our PPE gear dryers are available in 4, 6 or 8-unit models with a touchscreen control that enables ambient or heated-air drying. All models align with gear manufacturer requirements and comply with NFPA 1851/FEMSA recommendations for drying gear. By allowing for inverted drying, Ram Air’s Special-Ops Gear Dryers are able to dry hazmat, immersion (survival or gumby suits) and ice-rescue suits that standard gear dryers cannot accommodate while still drying standard bunker gear and accessories. Adjustable to any size gear, the T4-IHT dries quickly and efficiently without turning gear inside out and causing damage to the gear. 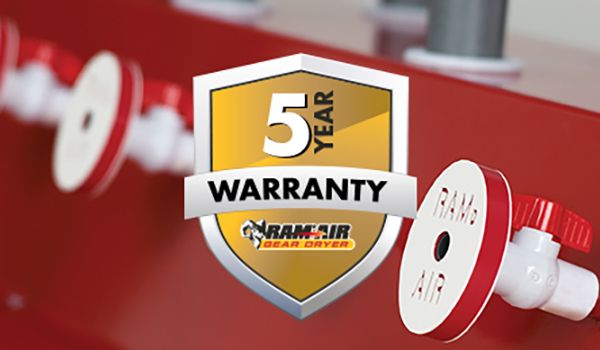 Ram Air’s gear drying accessories add flexibility to your gear dryer –helping your department run more efficiently. See us at one of these upcoming trade shows!